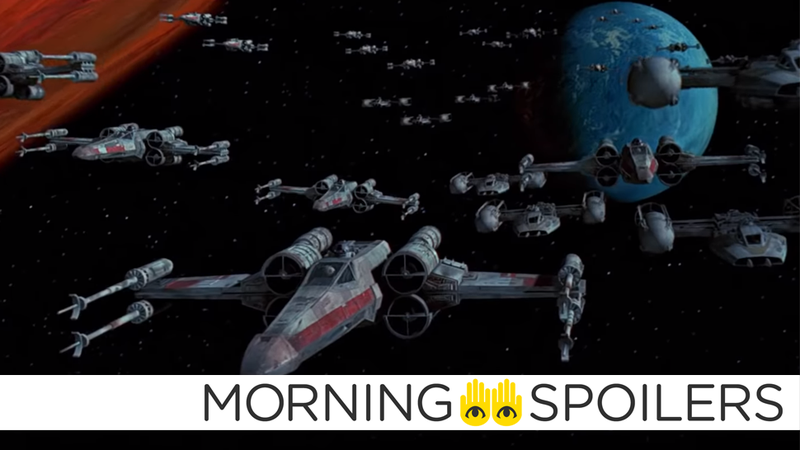 All wings, report in for new Star Wars show news! Charlie’s Angels adds a third Bosely. The Kingsman prequel could go far back into the past. Get a better look at X-Men: Dark Phoenix’s comic book-inspired costumes. Plus, Sophie Turner talks the end of Game of Thrones, and Mike Colter teases what’s in store for Luke Cage’s third season. To me, my Spoilers! Variety reports Djimon Hounsou has joined the cast as “one of the film’s multiple Bosleys,” alongside Patrick Stewart and director Elizabeth Banks, herself. At this point, it’s unclear if “Bosely” is a codename, acronym or descriptive placeholder for each character’s managerial duties. Deadline has word McKenna Grace has been cast as Julie Warren, the daughter of doll-busting paranormal investigators, Ed and Lorraine Warren. Daily Mail columnist Baz Bamigboye alleges that the Kingsman prequel will be set during the First World War. Ralph Fiennes and Harris Dickinson are rumored to star. Jonathan Krisel (Portlandia) has been hired to direct a new, theatrical Sesame Street movie from Warner Bros. Variety reports the new film will be a musical in the vein of 1985's Follow That Bird. Speaking with Entertainment Weekly, director David Gordon Green revealed why “the third Halloween II” is simply titled Halloween. That was a weird discussion. You know, do we call it The Shape? Do we call it Halloween Returns? What do you call it? Technically, it’s the third Halloween II. It kind of got to the point where we were like, ‘Well, we don’t want to not invite anybody. We don’t want someone who is unfamiliar with the previous films to think, well, I need to catch up.’ So then we just thought, for simplicity, let’s just call it Halloween. Speaking with IGN, producer Simon Kinberg stated, “that script’s being worked on right now” when asked to give an update on the allegedly-James-Franco-starring Multiple Man solo movie. Screen Rant reports Venom has two post-credits scenes. I know, try to be shocked! Set photos of J.B. Smoove chaperoning high school students around Europe have been posted to Reddit. Jeremy Renner has wrapped reshoots on Avengers 4. 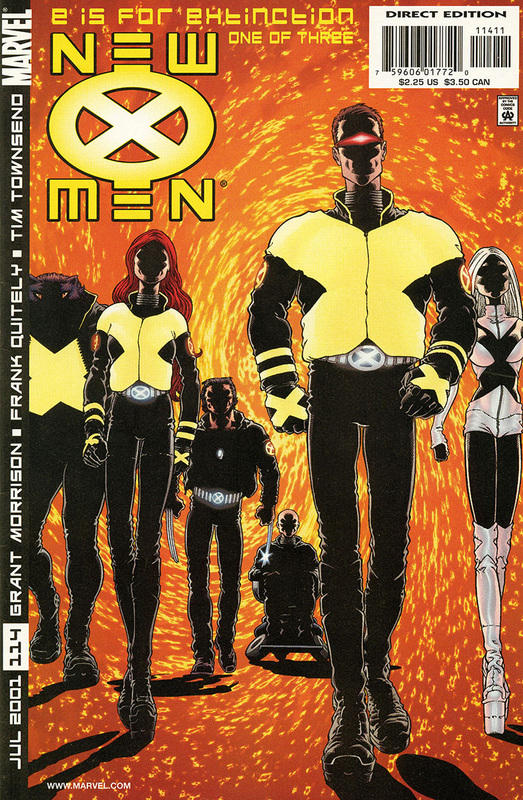 Empire has a new photo of the Uncanny X-Men in their... let’s go with approximations of the Frank Quitely New X-Men suit designs. Making Star Wars has set photos from Jon Favreau’s Star Wars television series beginning production this week. They appear to show a very Tatooine-esque aesthetic, right down to moisture vaporators and sand, but there’s always a possibility that it could be one of those convenient Star Wars planets that’s a new location that just so happens to look pretty much exactly like a planet we’ve seen before. Mike Colter offered a few details on season three of Luke Cage during a recent panel at Baltimore Comic-Con. I think the plan for season 3 is to explore Luke’s ability to govern and be fair. At the end, we talk about there being a new sheriff in town, a new king in Harlem. We’re going to see how he deals with this power, because we know absolute power can corrupt absolutely. And sometimes when you don’t have someone checking you, someone to put you in place, someone to tell you ‘you can’t do that,’ we sometimes get out of control. We see that everywhere. In a recent interview with IGN, Sophie Turner stated she thinks the Game of Thrones finale will divide fans. A lot of tears. I think, you know, as an actor it was really satisfying — I think for everyone, everyone’s storylines — to be able to act out the way that it all ends. It was really satisfying for us. Who knows if it will be satisfying for the fans. I think a lot of fans will be disappointed and a lot of fans will be over the moon, I think. I think it will be really interesting to see people’s reactions, but for me reading the script it was just like heartbreaking to read at the very final page of the script it just says, ‘End of Game of Thrones’. That was really emotional. Roberto Aguirre-Sacasa shared a photo of Riverdale’s primary antagonist in season three, a supernatural entity called The Gargoyle King. Bless this dumb show. Spoiler TV has images from the second episode of season five, “A New Life.” Click through for more. Spoiler TV also has photos from the second episode of Van Helsing’s third season, “Super Unknown.” More at the link. KSiteTV has photos from the pilot episode, “This Is The Part Where You Run.” Head over there to see the rest. A new promo reveals why Robin dumped Batman to form the Teen Titans. Finally, James Remar discusses Gambi’s homicidal impulses in a new interview with the CW.